The creators of the Unreal Engine and the games that run on it have brought their tech to the iPhone. 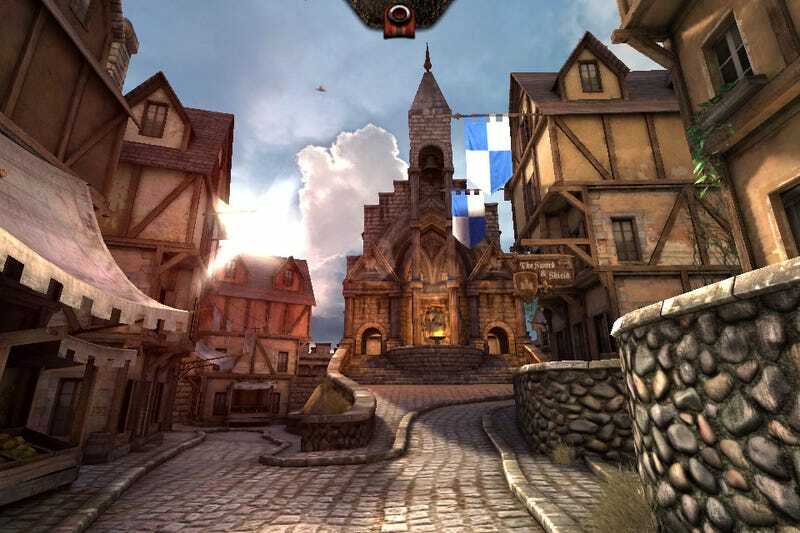 Epic Games is now letting iPhone owners see how well their engine works with a free demo, Epic Citadel. Epic Citadel is not the newly announced iPhone and iPad game from Epic Games. The creators of Gears of War and Unreal Tournament will release their first iPhone-based game, Project Sword, an "all-new action role-playing adventure game exclusively for iPad, iPhone and iPod touch," later this year. Epic Citadel is a tech demo app. It's free, letting iPad, iPhone and iPod touch owners explore a castle realm with a multi-touch interface. It was developed in eight weeks, its creators say, by a small team of Epic Games programmers. It's got all the candies: bump offset mapping, normal mapped architecture, global illumination, real-time reflections, dynamic specular lighting with texture masks —enough bullet points to make your head spin. See how good it looks here or for yourself by downloading from iTunes. It's for iPhones 3GS or better, iPod touch 3rd gen or later, as well as the iPad, and requires iOS 3.1.